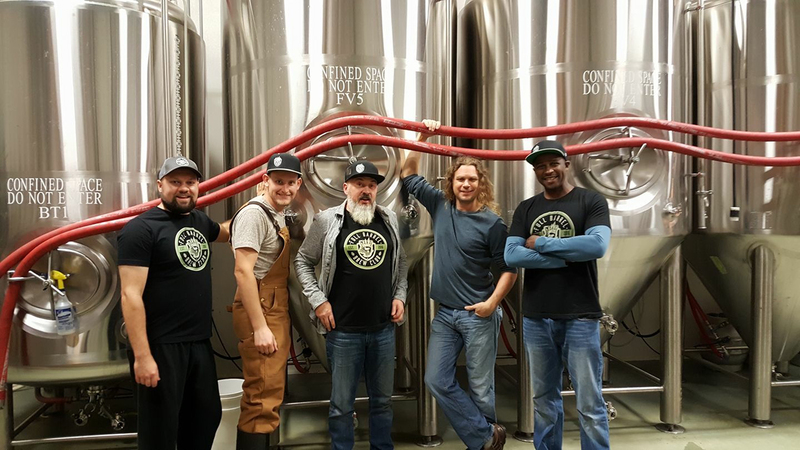 Full Barrel Homebrew Club started in 2016 and is made up mostly of brewers in the Langley area, though we have members from Surrey, Cloverdale, White Rock and Aldergrove. We’re based around a Facebook group, and several core members meet on Thursdays at Trading Post Brewing here in Langley. In 2015 I joined the Fraser Valley Fermentalists, but the commute from Langley over to the Pitt Meadows/Maple Ridge area prevented me from attending any meetings. So in early 2016 I decided to start my own club close to home. I teamed up with Tristan Stewart, who was at B’s Craft Beer Lounge at the time, and Full Barrel was born. (Tristan has gone on to create his own brand in Vancouver, Temporal Artisan Ales at Luppolo Brewing, but still participates in group discussions and attends some of our events.) A couple of weeks after we started, Trading Post Brewing opened and immediately became our home base. Since the beginning we’ve had a symbiotic relationship with the brewery. Brewmaster Tony Dewald and Assistant Brewer Jason Armitage have been our two biggest fans, and are always around to answer questions, teach us through their “Training Post” seminars, and slip us the odd yeast cultures. We’ve had some early successes with the club. In early 2017 we were judged the Best Amateur entry at the Tri-Cities Pro-Am Cask Festival and that created a lot of interest in the club. Our membership has increased steadily ever since. We now have our own cask night at Trading Post on the first Thursday of every third month, which is always busy with casks selling out early in the evening. In late 2017 we brewed one of my recipes called Sessionable Imperial Stout, which sold extremely well at the brewery. Who knows what lies ahead in the future for our club. We’re just having fun and learning a ton about brewing.